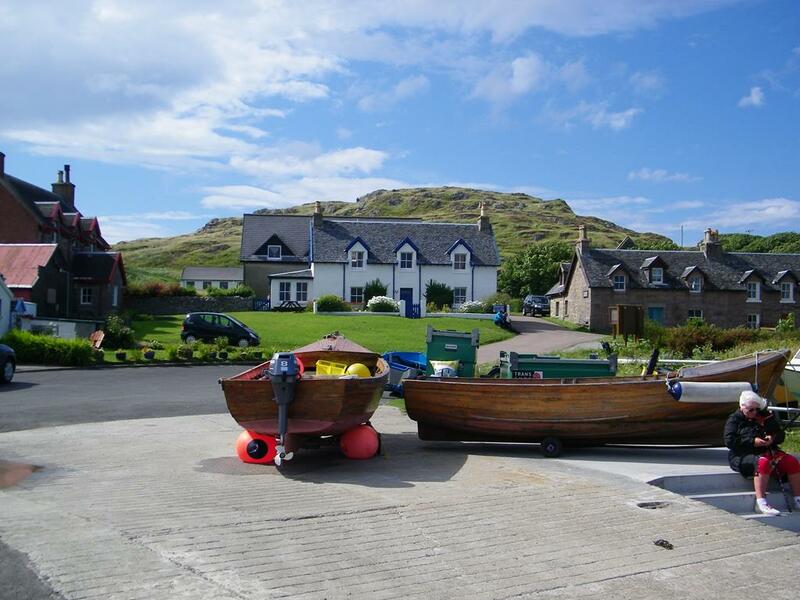 Click on photos below to enlarge Seaview bed and breakfast is a 4 minute ferry journey and a two minute walk to the starting point of this walk. 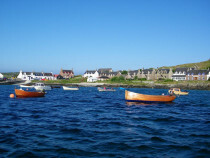 as a rough landing place before the modern quay was in place. The remains of the iron rings in the rock can still be seen. 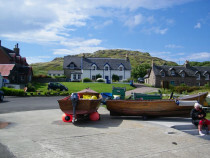 The present pier was constructed in 1979. 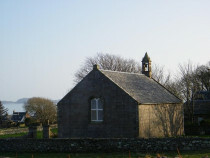 An Eaglais Dhubh (black church.) The Gaelic word for nun is calleach-dhubh, meaning 'the veiled and black-robed one'. 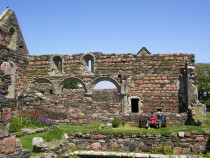 The masonry of the ruins is a well kept mix of pink granite, yellow sandstone and grey flagstone. What is left gives an insight into how the nuns lived. the north side you will find Teampull Ronain, which is a medieval church dedicated to St Ronan. This was the parish church for the local people, used from the 12th century. 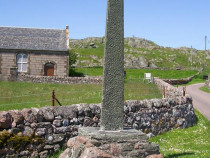 church is now the Iona Heritage Centre and is well worth a visit to find out about island life here, past and present. 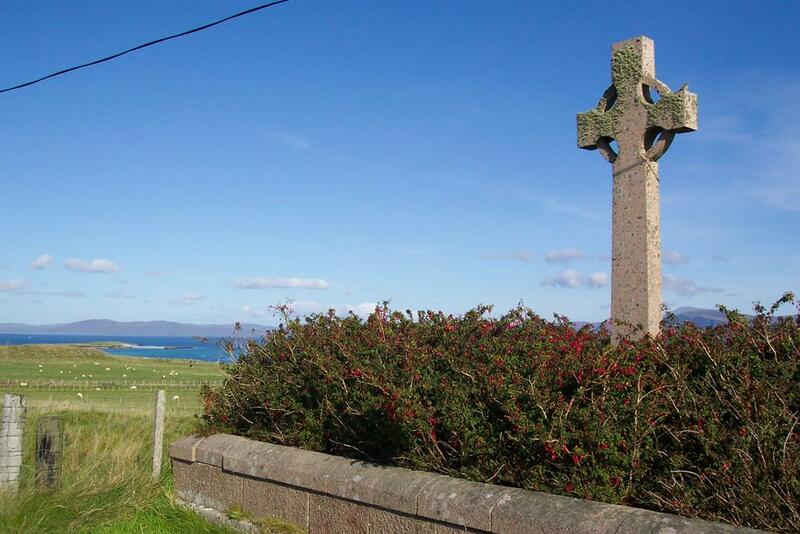 Next at the roadside is MacLean's Cross, a fine example of carving on medieval Iona. 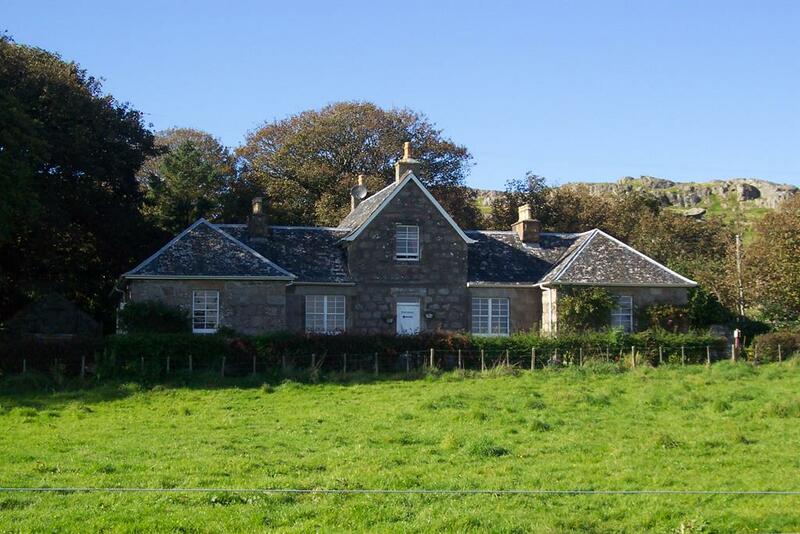 It is a central pointing and marks a last century agricultural boundary between the east and west ends of the island. 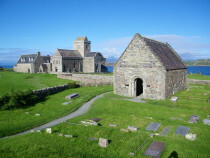 Iona Abbey, "cradle of Christianity in Scotland", stands like a solid rock against the sea, wind and rain, from the Atlantic gales which blow from behind the graveyard. 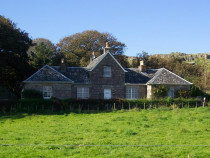 Once a Benedictine Monastery, although now for hundreds of years has been used as a centre of Christian worship and pilgrimage. 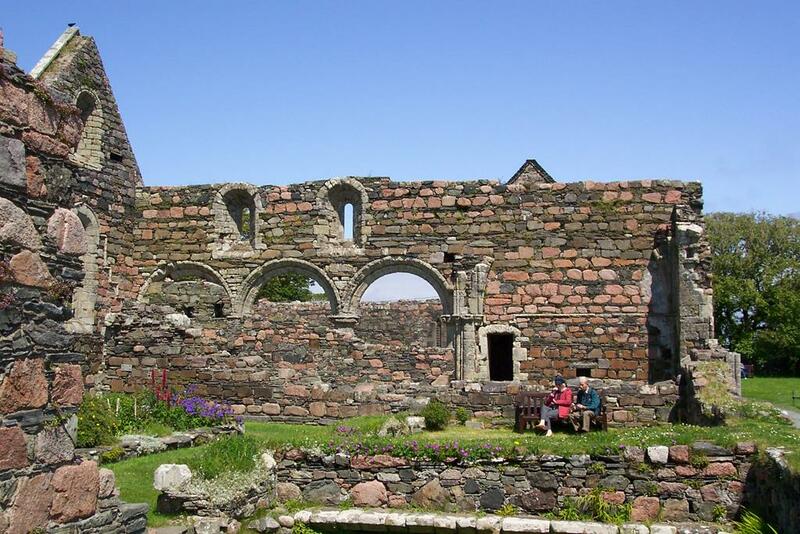 There are many books describing the history of Iona Abbey which you can read and to explore it fully is an excursion in its own right. Please allow at least 1 hour for a brief visit around Iona Abbey. The half hour guided tour is worthwhile. 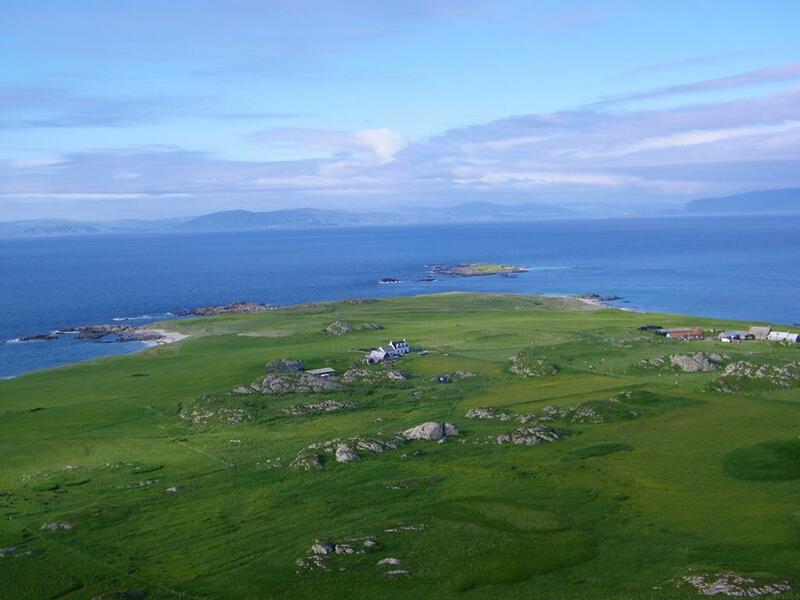 On leaving the abbey gate, turn right towards the north beaches and looking northeast there are wonderful views of the Sound of Iona and the pink granite Ross of Mull. In the foreground you will see the dark threatening Burg cliffs in the mid-distance, and the magnificent Ben More in the backdrop standing guard over all it surveys. 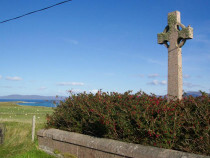 Beside the road stands "The Duchess's Cross" which was erected in 1878 in memory of the 8th Duke of Argyll's first wife. 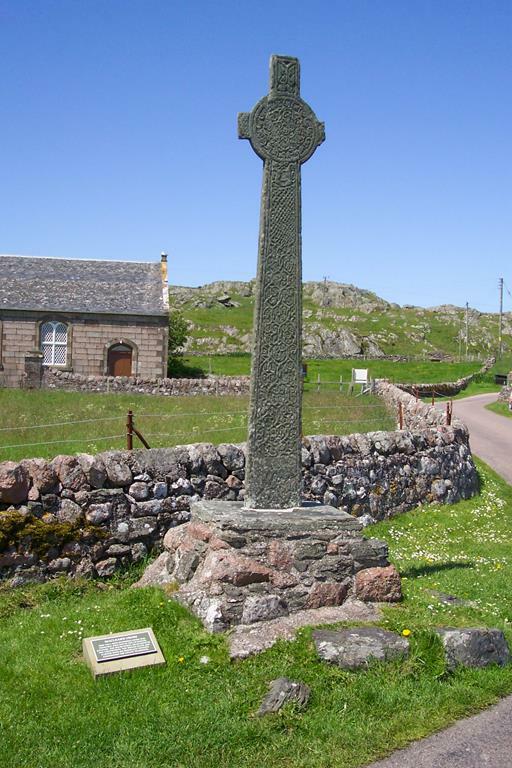 The granite used in the cross came from the Dearport Quarry on the Ross of Mull. 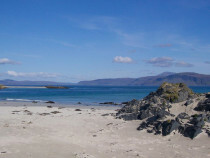 clear day to the north you can see Tiree, Coll, Barra, Cuillins of Skye, Rum, Eigg, Mull, Treshnish Isles and the amazing Staffa. 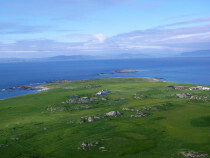 To the south you will see the Paps of Jura, Colonsay, Rhinnes of Islay, and alsoDhub Ardtach and Skerryvore Lighthouses. Two hundred feet from the cairn on the top of Dun I is a pool. Tobar nah Aois is known as the well of age, and it is said that if you bathe your face 3 times at sunrise your youth will be restored! 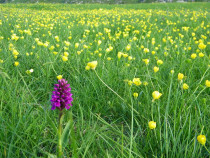 have coveted this landscape for painting because of it's unusual light, variety of colour and depth of landscape. 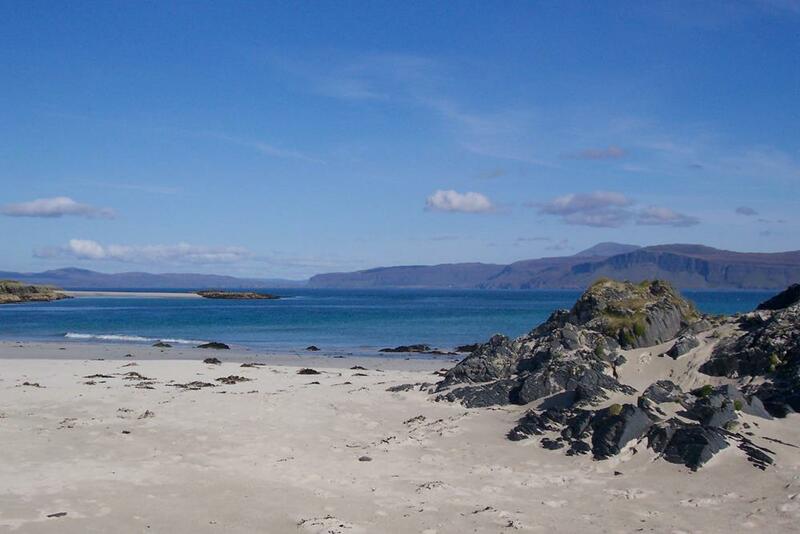 From the white strand walk westwards, past the north headland staying on the machair (sandy turf), to the beautiful white sands of Traigh an t-Suidhe (beach of the seat), and Traigh na Criche (beach of the boundary). Both of these looking north and west, magnificent, windswept and lonely. 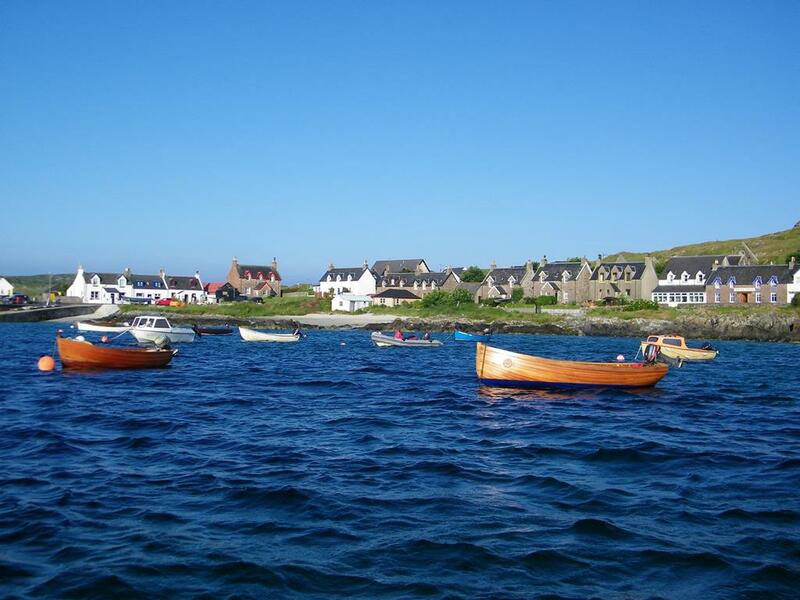 After taking in the scenery and dwelling, return eastwards over the machair to the road and retrace your steps to Baile Mor (big township) and Port Ronain. 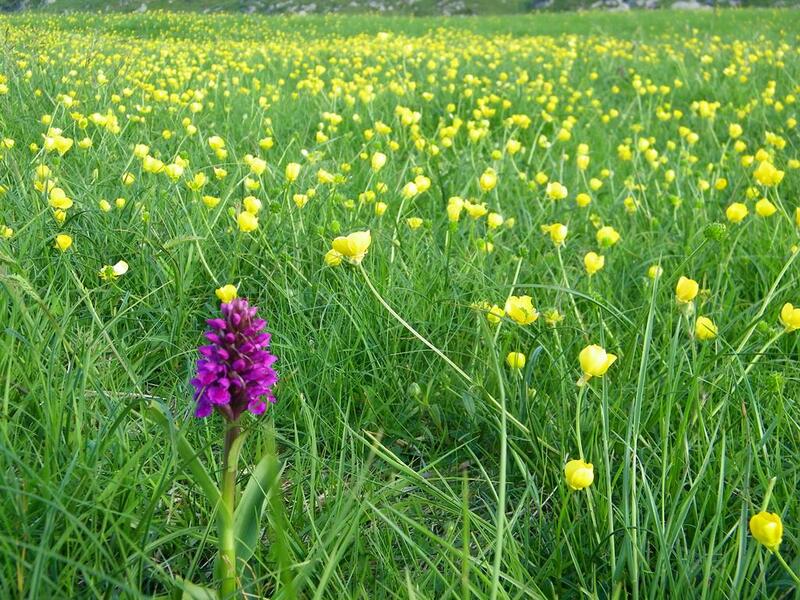 Dolphins, seals, otters, corncrakes, cormorant, shag, eider, buzzard, ring plover, lapwing, black backed and herring gulls, rock dove, jackdaw, starlings, linnet, twite, yellowhammer, terns, grey plover, peregrine, sanderling and godwits.